Preserving the valuable, reviving the original charm again, keeping history’s heritage alive – these are the special goals and principles of RENOVATIV GmbH. 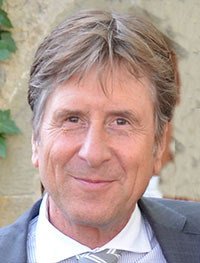 As Director of Real Estate and Development from 1990 till 2012, Achim Greiner was responsible for the property of an international company, which owned numerous historical buildings in Germany and abroad. With more than 25 years of extensive experience in dealing with listed buildings, it is his mission to preserve not only their structures, but also their individual character by carrying out innovative and creative restoration work which gives the buildings his personal touch. High quality standards throughout the renovation process guarantee a modern comfort which is of primary importance in our work and also specially adapted to the needs of our customers. The entire team of RENOVATIV GmbH is committed to this principle.